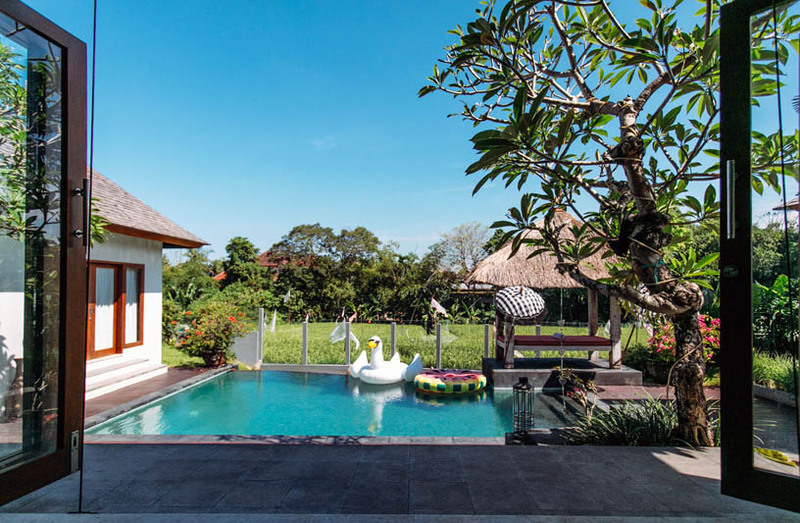 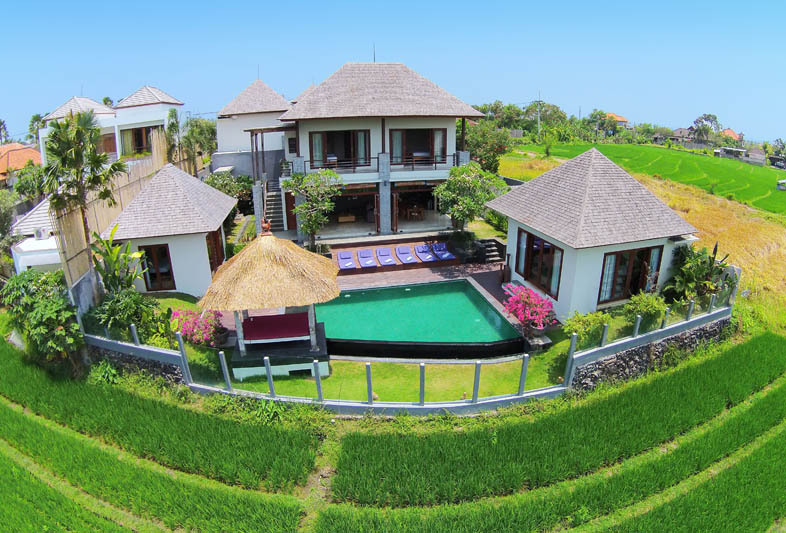 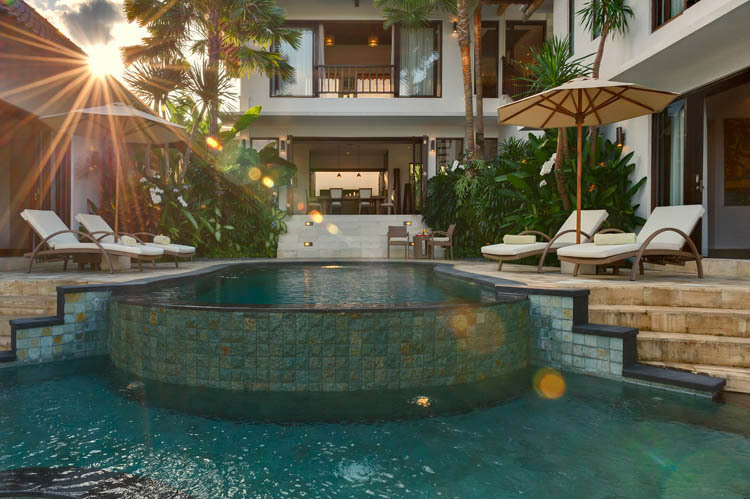 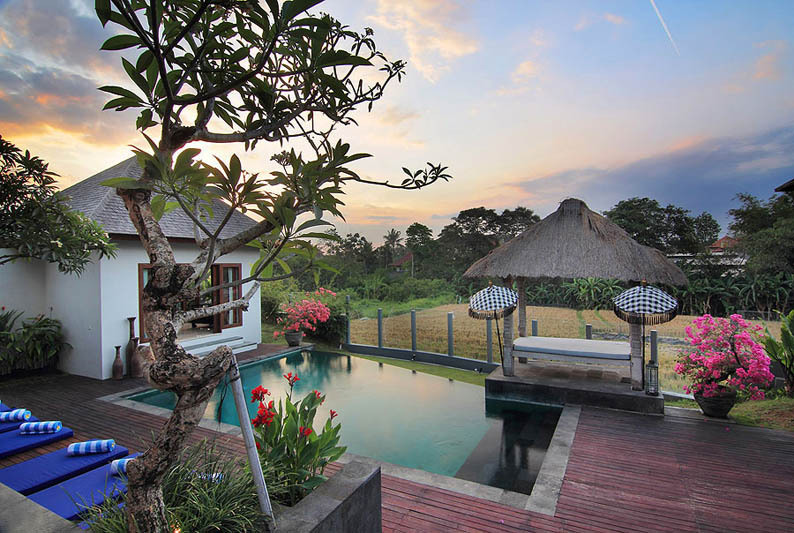 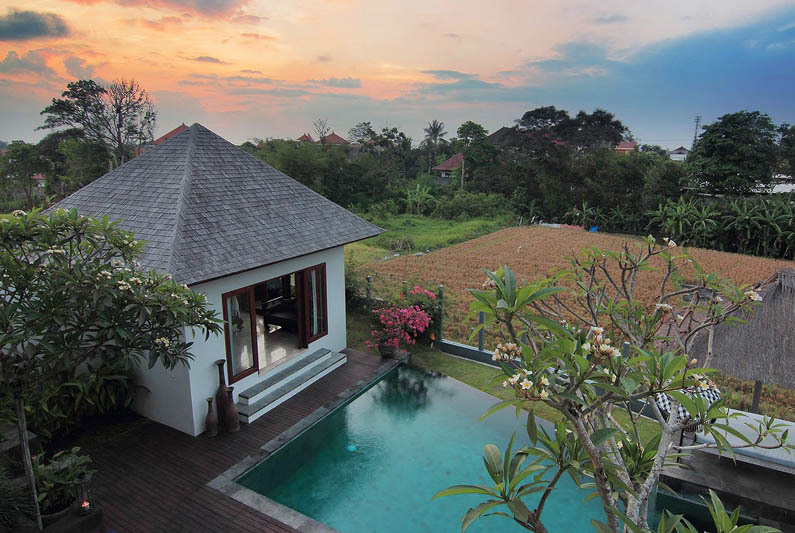 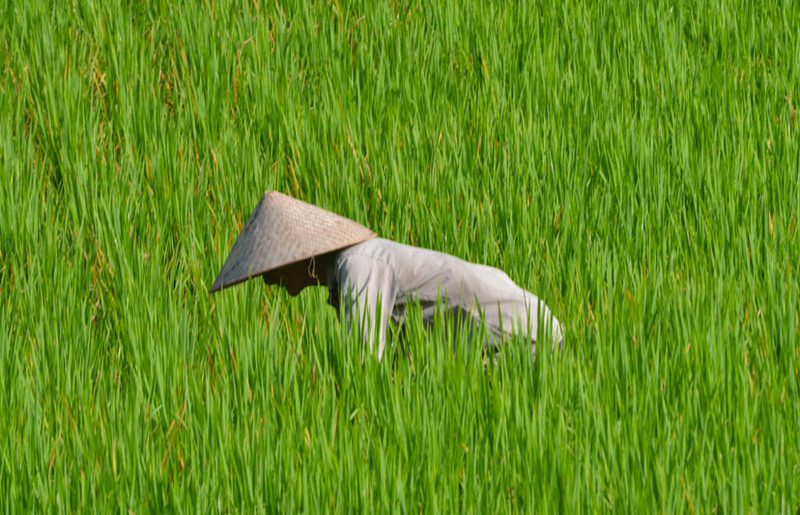 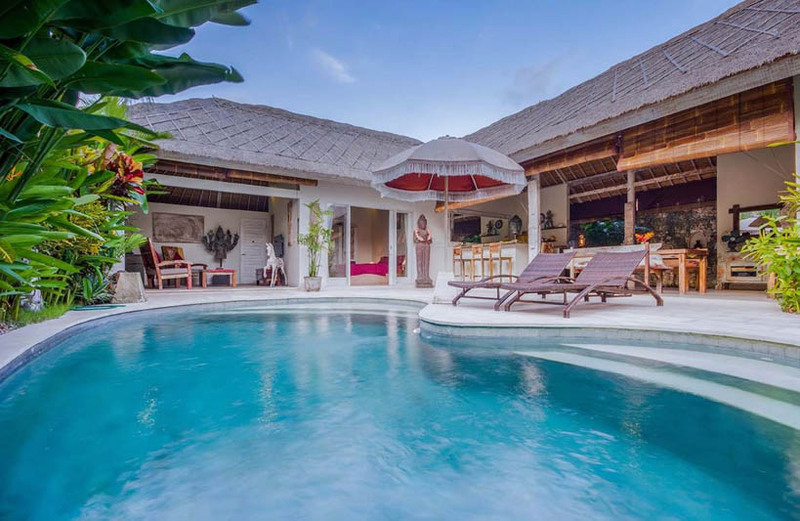 The villa Ruth 4 is located in the Canggu area, well-known for its abundance of rice paddies and chilly surf spots. 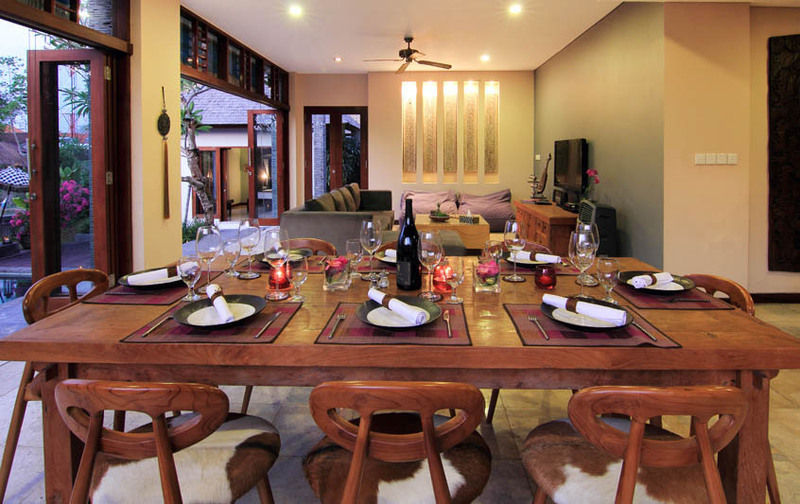 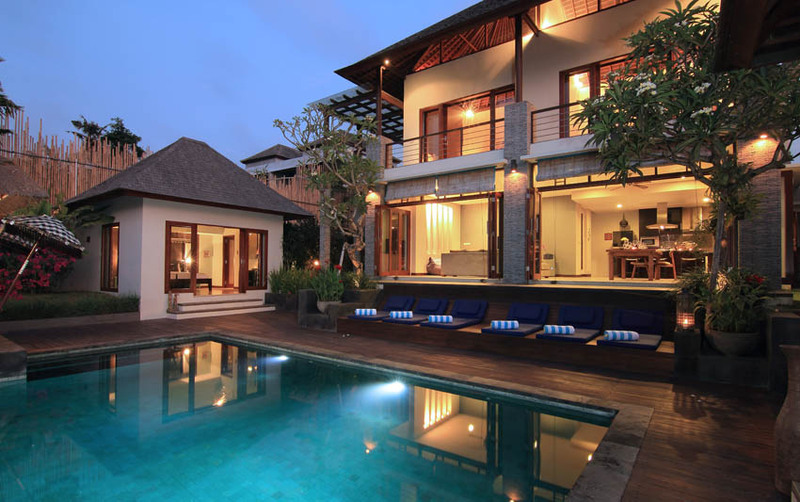 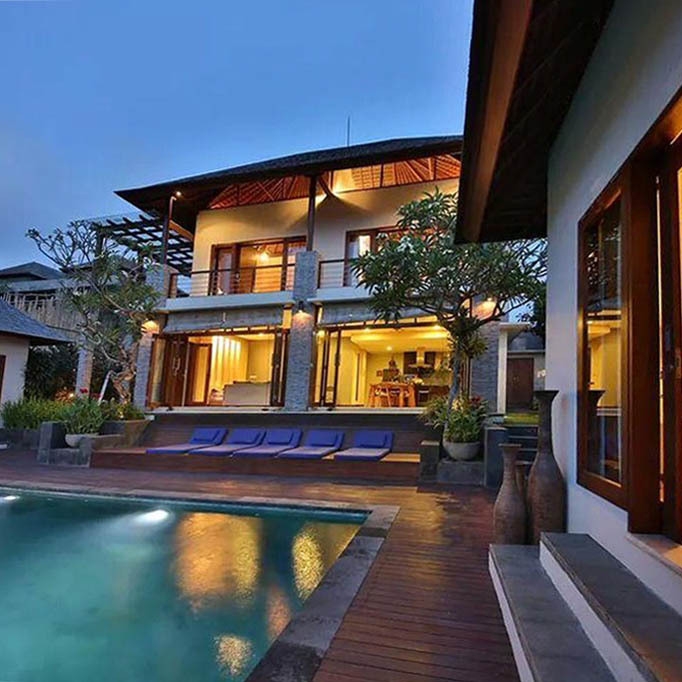 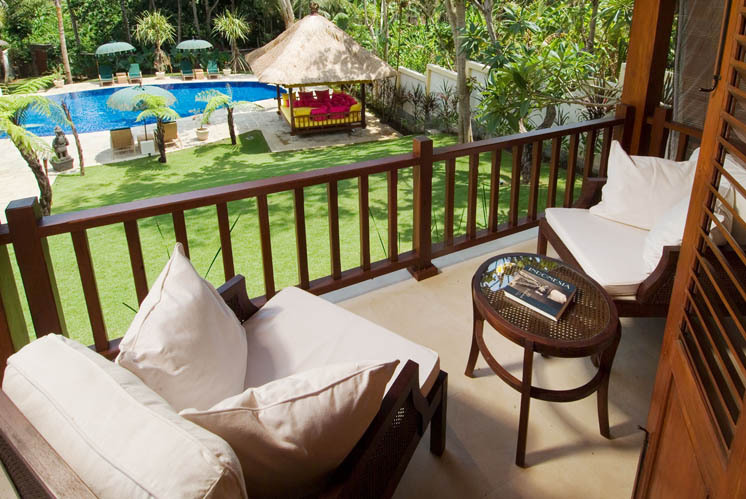 This luxury rental will allow you to spend your holidays in Bali while enjoying the serenity with family or friends. 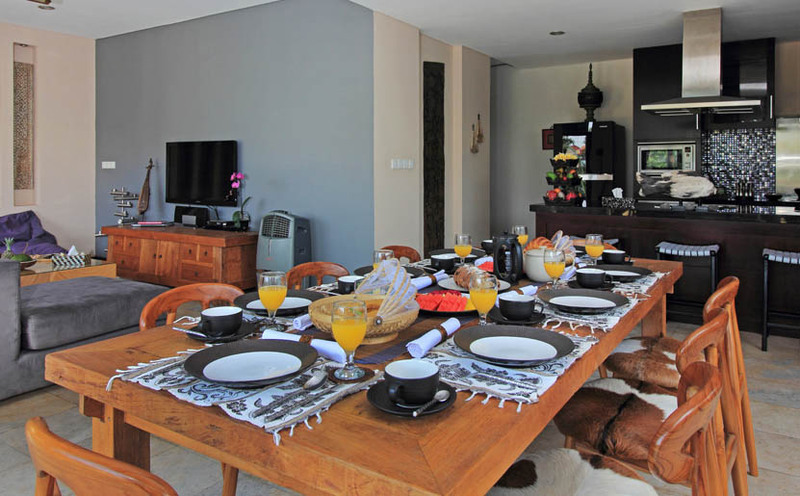 Renting this home means being close to all amenities while being in a quiet area. 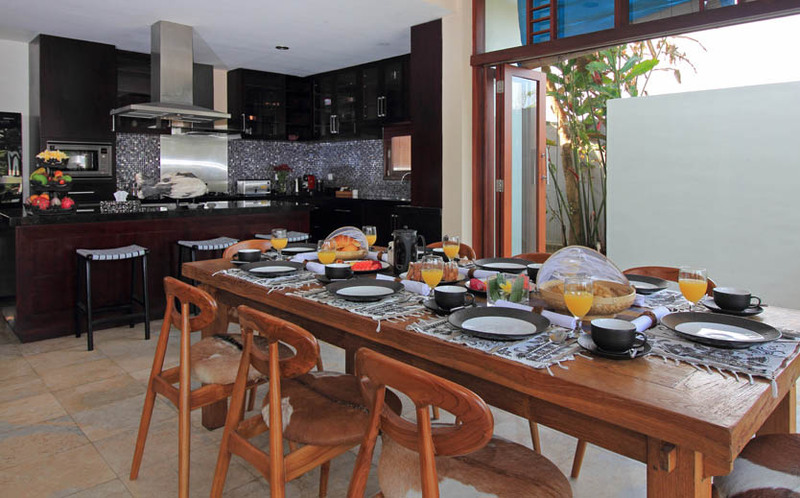 Fashioned in black polished granite the kitchenis equipped for self-catering with a four-burner gas hob, microwave, fridge, toaster, kettle, blender, Nespresso coffee maker, portable air-cooler and water dispenser. 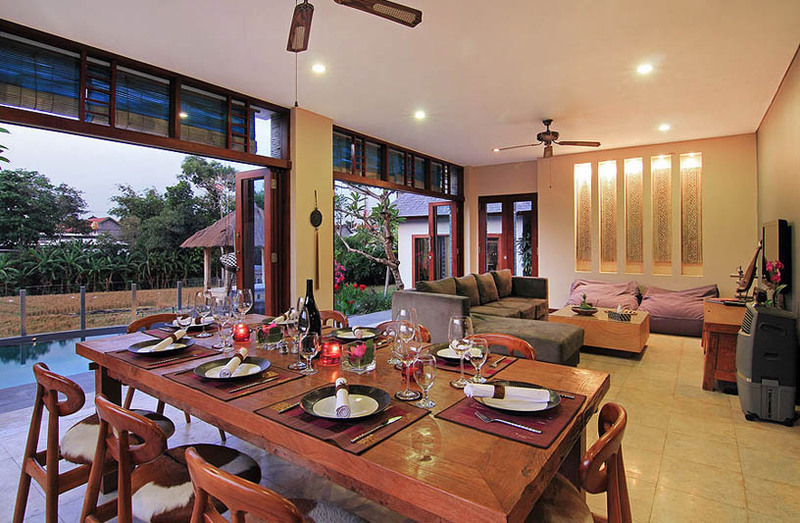 The living space is furnished with sofa and coffee table, while the dining area contains a large table and six chairs.These rooms are cooled by an efficient, portable air-cooler. 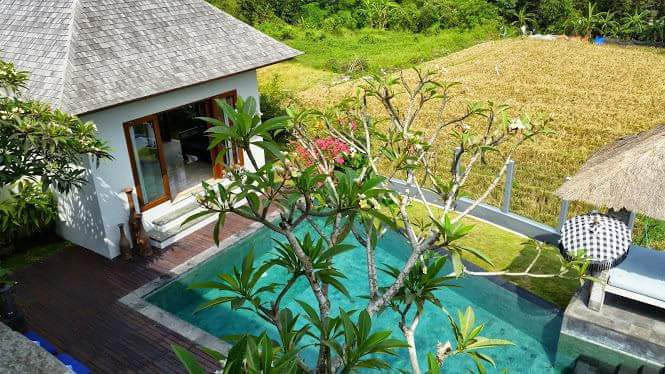 You can enjoy your stay in the Villa Ruth 4 by swimming in the 7x4m swimming pool,or by diving from the timber pool deck surrounded by flowering trees and shrubs. 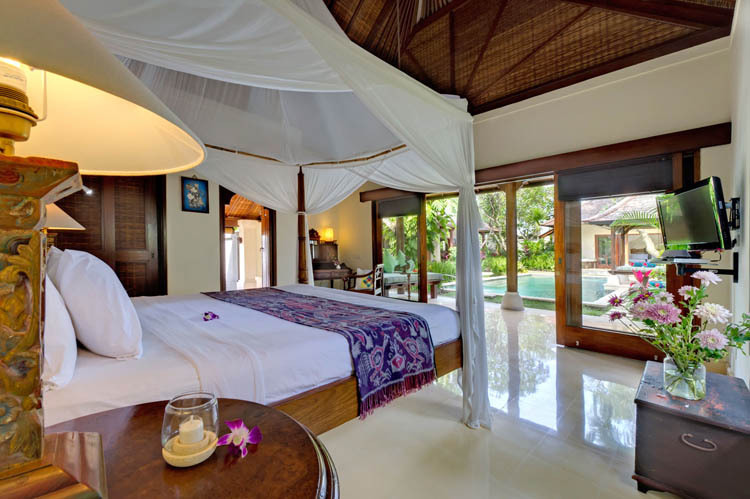 Upstairs youâ��ll find a bedroom and unsuited bathroom, plus a balcony-terrace, which overlooks the garden. 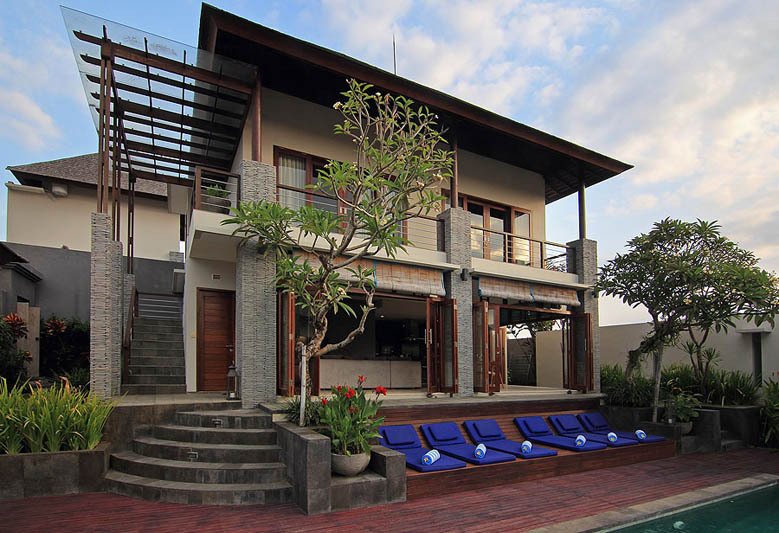 The 3 bedrooms are complemented by separate walk-in dressing rooms and sliding glass doors to the living spaces. 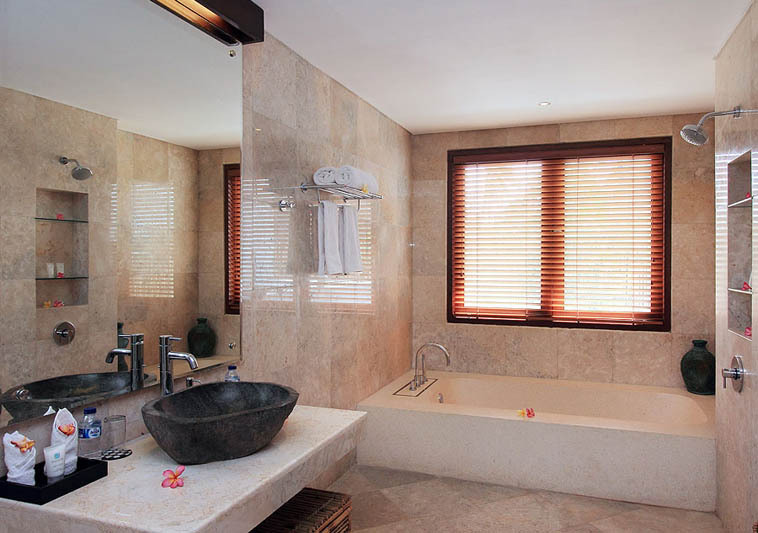 The semi-open-air bathrooms have non-slip acid marble floor. 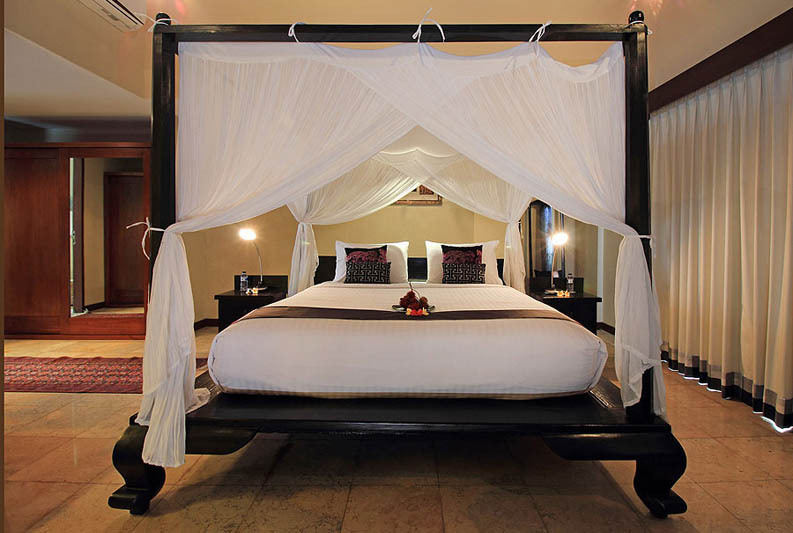 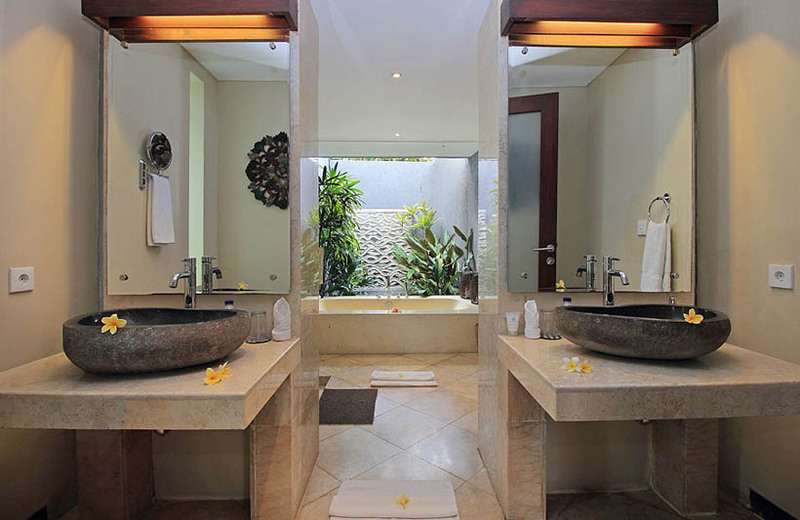 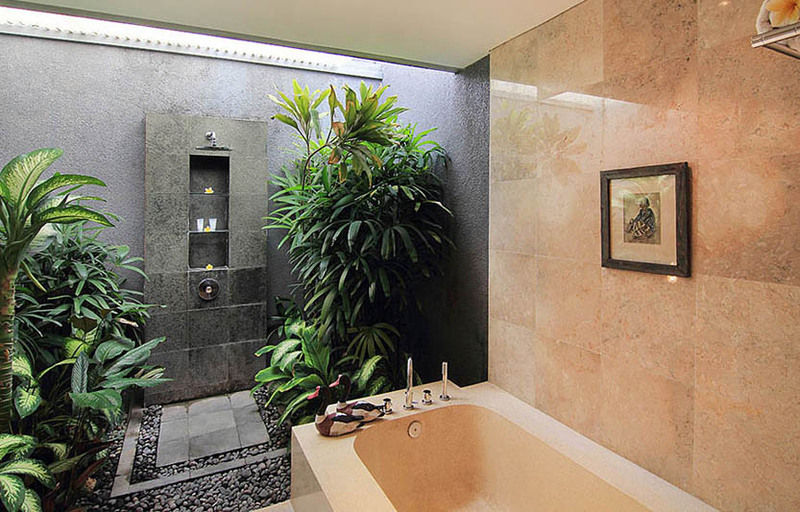 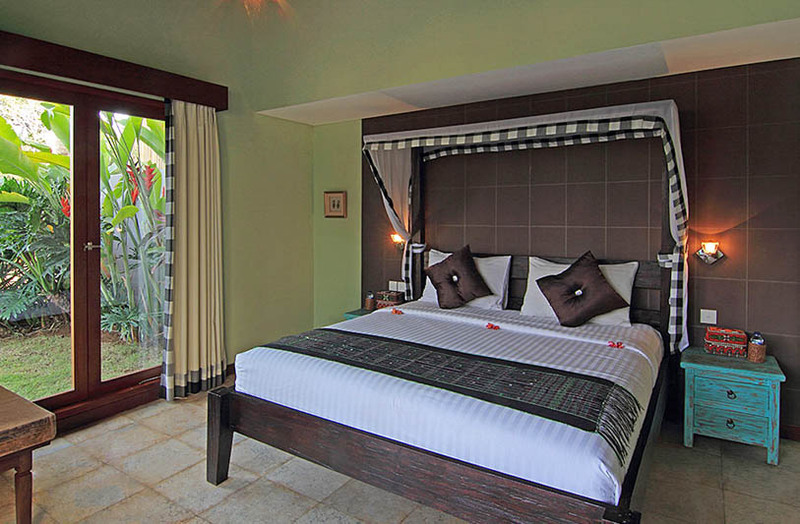 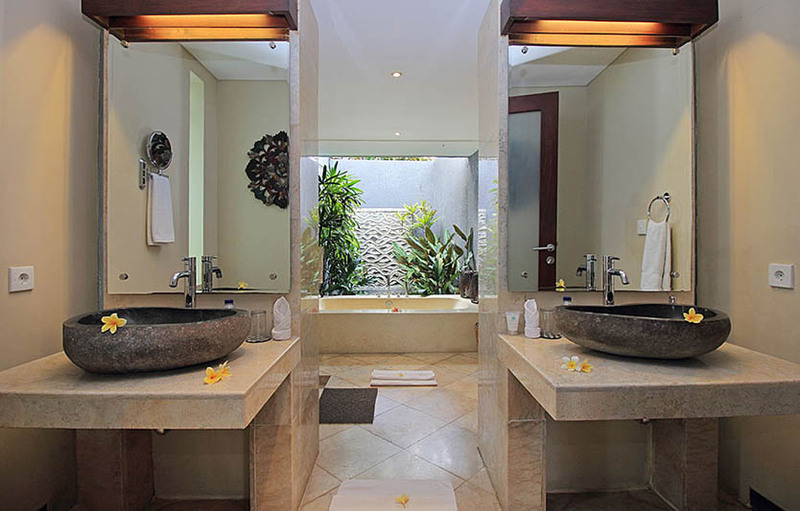 All have stone carved washbasins, wall mirrors, bathtubs with hand held showers, walk-in monsoon showers. 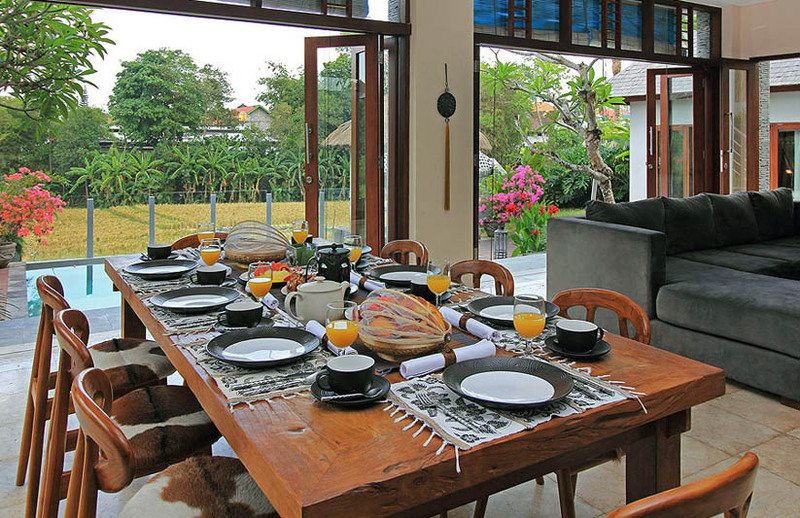 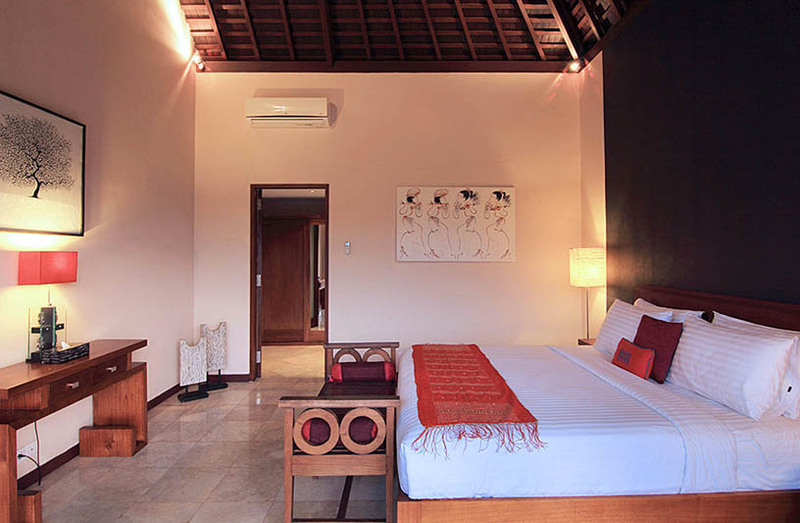 Rent the Villa Ruth 4 promises to be a fabulous experience for a great vacation in Bali, the island of the Gods.